Flycoren: The Beginning of Something New. 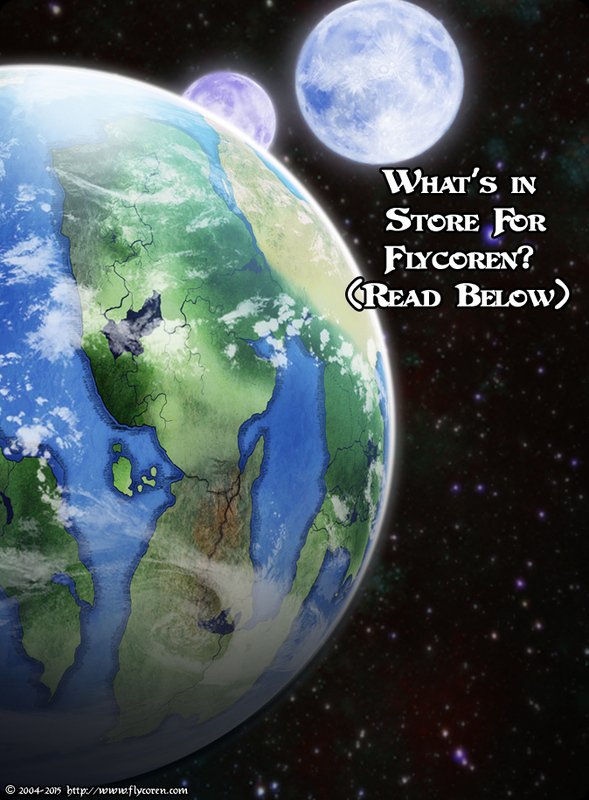 You can read Mana’s version of what’s going on Facebook: What’s In Store for Flycoren? Whew… Where to begin. I’m sorry we’ve been quiet for the past three weeks. This has been quite a hard decision to make. But there are times when you know you need to move on. Flycoren has been Mana and my project together since we met back in High School, and hold a huge part of our hearts. We will always love this world and the huge potential that it holds. But the reality is, over the years Mana and I have grown so much. Not only as individuals, but as artists and writers. When we started working on Flycoren: Kausim, there was no plan, there was no intent of ever printing them. There was never any plan to go to conventions and meet great people or anything like that. It was just something we wanted to do. I am so grateful of the things it has taught us. I feel as though we are capable of so much more now. And it’s not to say that we haven’t tried to make Flycoren: Kausim something more. But the reality is, we have outgrown it. We need a new shell to call our own. There is certainly potential to revisit Flycoren in the future. But it won’t be Kausim. Unfortunately this is where Kausim ends. We are almost done this chapter, and we fully intend to finish it off to complete our final volume of Kausim. Mana and I certainly aren’t done making comics, and we certainly aren’t planning on disappearing any time soon. The reality is, we are moving onto something which we hope to be much better and stronger than ever before. We both have exciting plans, and we can’t wait to share those with you. But we want to make sure we do it right this time. Use the things we have learned to bring you an experience unlike that we’ve been able to bring thus far. So I hope when that time comes, you will join us for a grand new adventure. Thank you everyone for everything! Our Facebook page will still be very active, please join us over there! This has been an interesting comic with excellent characters (a huge deal for me) and an engaging story line. I hope you bring the same quality to your future works. Also, please let us know where to find that work. I am glad to finally know for at least for one of my favorite webcomics why it went silent. Writers and creators, especially the talented, keep disappearing without so much as a word as of late. I am sorry to read for flyoren “Kausim” to end, but also looking forward to what you your next projects will be.